Taste test: These chips are pretty good, I expect a lot when I see "baked potato" in the flavor. These will remind you slightly of a cheddar and sour cream style potato chip, with some bacon powder on it as well. 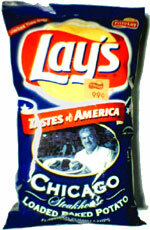 The chips themselves are of the good Lay's variety, not too greasy and not too dry. Overall I could eat a whole bag of these. Smell test: A slight bacony aroma. 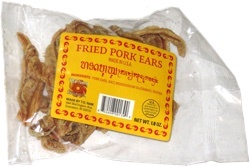 This snack was discovered by Keith and Melissa at Friendly Farms, Framingham, Massachusetts. Review published .